In the Fall of 2013, the Community Foundation of Greater Flint (CFGF) Board of Trustees adopted literacy as its stake in the ground issue with a goal of improving literacy rates in Genesee County, particularly in Flint. Their approach was multi-generational and aligned with other CFGF grantmaking programs, including its five community funds. CFGF recognized the need to better prepare students so that they can be ready for college coursework and professional training, without spending years of financial aid on remedial classes that do not count toward a degree or certificate. 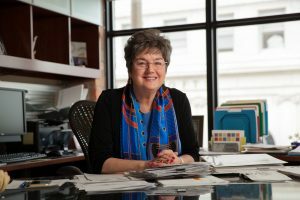 The Foundation began investing in Literacy in 2014, engaged with national literacy consultants and embarked on a community-wide planning process. The initiative began prior to the Flint Water Crisis and became even more relevant. The Flint Water Crisis demanded that our community responds to the profound outpouring of local and national support for Flint’s children exposed to lead. It also shined a bright spotlight on Genesee County’s need for high-quality early childhood learning and literacy programs. Fortunately, our community-building efforts before the Water Crisis gave us a strong foundation, as we were better organized, experienced and already working together. With literacy efforts gaining more momentum now that ever before, CFGF played a critical role of facilitator and connector for our literacy providers and partners. The effects of lead poisoning can be disastrous — especially to children. Realizing this fact, Mona Hanna-Attisha, M.D., FAAP, a pediatrician and humanitarian whose research brought light to the crisis, established the Flint Child Health and Development Fund at the Community Foundation. 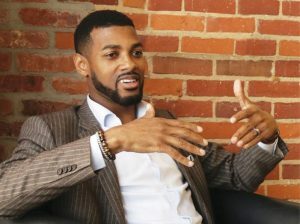 The purpose of the Fund, also known as the Flint Kids Fund, is to serve the long-term health and development needs of Flint children exposed to lead. Students, families, churches, foundations, businesses, celebrities, and sports figures all wrapped their generous spirit around Flint children and have contributed $18.5 million to the Flint Child Health and Development Fund. In turn, $4.9 million has been granted back to the community, including $516,7000 in support for early childhood literacy programs like the Dolly Parton Imagination Library and $360,000 for Cummings Great Expectation Early Childhood Center. Between 2014 and 2017 the Community Foundation of Greater Flint and its supporting organizations made a total investment of $2,524,690 in targeted literacy efforts. Research shows that communities that make significant progress in improving literacy rates do so because they have a literacy coalition that engages a multitude of stakeholders in the work. In collaboration with Literacy Powerline, a national literacy expert, CFGF decided to adopt a “catalytic philanthropy” approach and to build a broad-based literacy network as its primary investment strategy. In the summer of 2014, the CFGF made its first grant to Mott Community College in order to help develop, the now nationally recognized, Flint & Genesee Literacy Network (FGLN). The Network now coordinates the work of more than 100 direct service providers that serve residents throughout Genesee County. Continued funding of the Flint & Genesee Literacy Network remains the Community Foundations primary investment strategy for improving literacy rates in Genesee County. In addition to financial support, the Foundation has made an “all-in” commitment that has taken the form of strong leadership participation on the Network’s steering committee, extensive staff involvement in the community planning process during the launch of the Network, and continued participation at the implementation level through the Network’s action teams. We know that changing literacy rates takes decades to accomplish, but it is important that we capture what has happened during CFGF’s initial investment period. Summer 2014: CFGF makes a grant of $77,000 to support the development of a broad-based literacy network, now known as the Flint and Genesee Literacy Network. 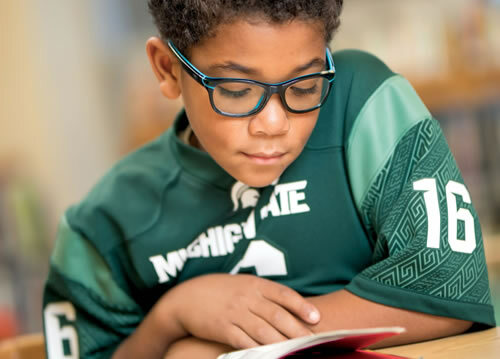 Summer 2015: CFGF makes a grant of $105,000 to fund operations of the FGLN and supports the expansion of the Michigan Reading Corp in Flint Community Schools. Summer 2016: CFGF makes a grant of $137,000 to the FGLN, allowing the expansion of staff, development of new programs, and new ways to measure impact. 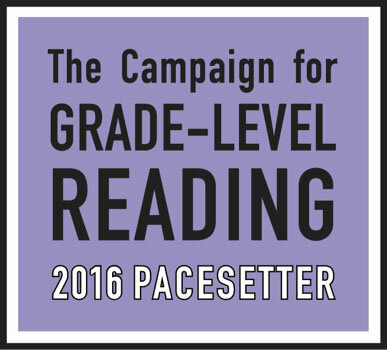 In just three short years since the initial grant, the Flint & Genesee Literacy Network has become nationally recognized, receiving the Campaign for Grade-Level Reading 2016 Pacesetters Honor for demonstrating exemplary work in the Campaign’s framework for success, scale, and sustainability. With the support of the CFGF, FGLN was able to pilot Family Literacy programs, and launch initiatives such as Read While You Wait, Success through Art, and Flint Kids Read. Additionally, through support from the CFGF, FGLN in collaboration with partners was able to host National Summer Learning Day: Passport to Learning, as well as, the first Summer Learning Professionals Conference. Looking ahead, the CFGF’s goal is to ensure all children have what they need to succeed in life. As a community, the only way to bring this vision to life — for all residents — is to align as a collective force and make literacy a central priority. There is an optimism, momentum and energy behind this collective effort, and a new focus on quality programming and measurable results. There are fewer siloes and barriers, and in their place is a culture of team building and a collaborative infrastructure. CFGF has helped our community move forward with a stronger sense of urgency on the issue of literacy. There is a renewed drive to implement successful programs at scale, ultimately to serve the youth in Genesee County who deserve every possible opportunity to live their best possible lives. It is an honor for the Flint & Genesee Literacy Network to recognize the Community Foundation of Greater Flint as a 2018 Community Bright Spot.